Sutherland Manifesto: Silverstein Good. Sharks Better. Bazan Best. This week's reviews. Here's the Reader's Digest version. Sharks=Sounds like The Clash. Great if you like The Clash. Bazan=A tough listen, but worth repeat listens. Over the past 15-plus years, David Bazan has spent his time praising God, then questioning his motives, and finally breaking up with Him entirely. On his first release since making the evangelical split official (see 2009’s “Curse Your Branches” ), Bazan faces the challenge of writing a record without the Big Guy. “Strange Negotiations” addresses the big question of “what’s next?” Not in terms of religion, but of what it takes to be a good human being. Instead of looking heavenward, Bazan dives deep into his own heart. He sings “I want to level with myself/I want to level with friends/I want to level with my kid/And be at peace with it.” While Bazan’s tongue remains silver, the music is much less polished. A darkness hangs over the record, which is uncharacteristically riff-heavy. Much like his Headphones side project, “Strange Negotiations” requires listener’s full attention and gets better with each listen. As emo bands go from having broken hearts to having a wife and kids, there is no shortage of growing pains. Some decide to get heavier, some get lighter, and most simply fall by the wayside. Scene stalwarts Silverstein have chosen to stay the course. On any given track of “Rescue,” the band screams up a lung, wields guitars as a blunt-force instrument, and dangles its heart from its sleeve. The band’s songwriting has certainly improved over their decade-long career, but more impressive is their ear for pacing. The record moves nicely between melodic rockers (“Intervention”), straightforward ballads (“Good Luck with Your Lives”), and ultra-heavy dirges (“The Artist”), without ever losing steam. It’s comforting to know that 15 years after the demise of The Clash, the spirit of Joe Strummer is still alive and well. The Sharks, a four piece British outfit, follow The Clash’s model of mixing punk, reggae, and good ol’ fashioned rock ‘n roll. The band makes the sound their own not by musical innovation, but by sheer exuberance. The tunes jump out of the speakers and bounce off the walls, in hopes that someone out there would please just start a circle pit. 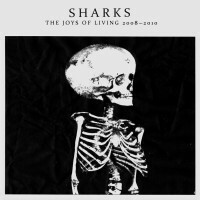 A compilation of the band’s first three EPs, “The Joys of Living,” couldn’t be a better teaser for an eventual full-length debut .